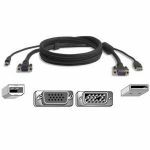 The OmniView All-In-One Gold USB KVM 6ft Cable Kit is designed for high-resolution applications where image clarity is crucial. 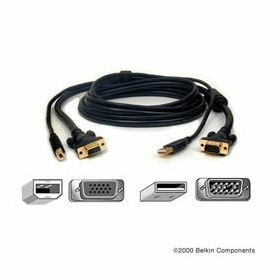 The Gold Series features gold-plated connectors with a black jacket for maximum longevity, signal integrity, and corrosion resistance. 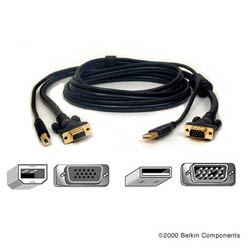 Coaxial VGA cabling is used for optimum performance. 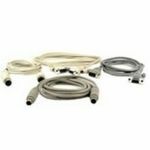 The All-In-One Gold USB KVM 6ft Cable Kit is the easiest and neatest way to connect all your computers and servers to your USB KVM switches, providing image clarity for high-resolution applications.